Today I arrived in Pensacola with a friend of mine…we relaxed a little this afternoon…let the rain pass while playing a game of skip-bo…debated between taking a walk or going out on the boat with her family. We ended up on the boat and as you see I am speechless to where they took us! All I could do was stand their with a huge smile and think about how amazing my God is. His creation is breath-taking and all I could do was thank Him for what an amazing experience this was! 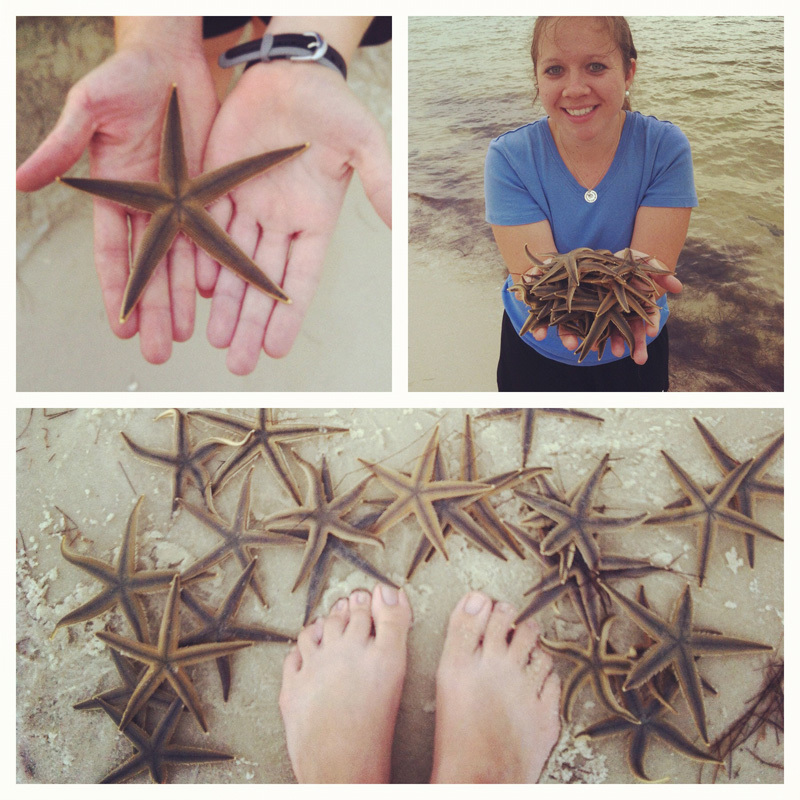 There were 100’s of starfish e.v.e.r.y.w.h.e.r.e. 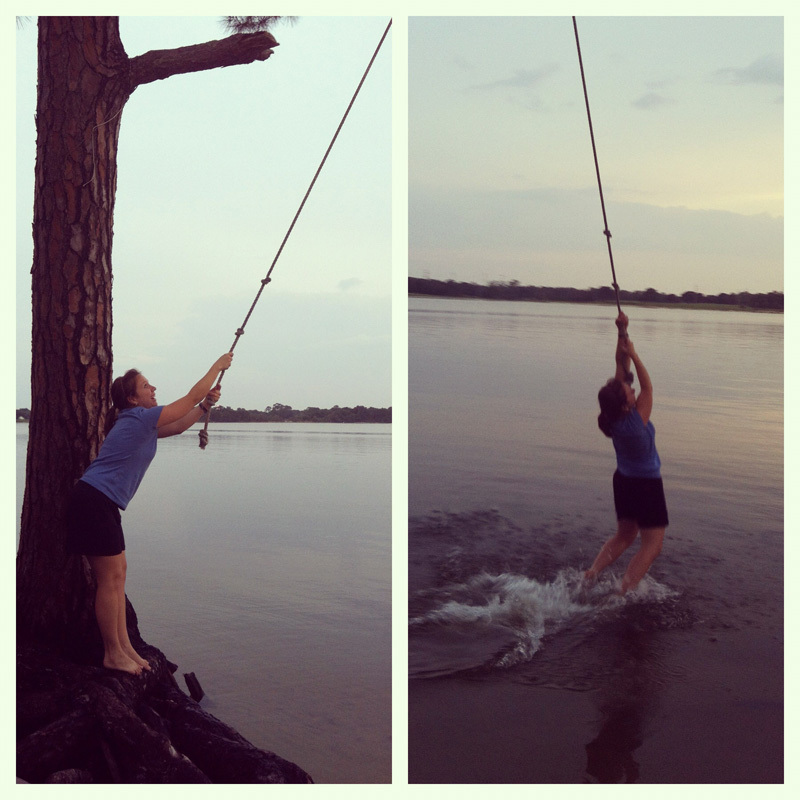 As we were walking back to the beach house I faced another debate…do I go on the rope swing or not…didn’t want to hurt my finger again…and before I knew it I had slid off of the tree roots and there I was, swinging knowing I have no upper body strength! Always a good laugh and adventure! Looking forward to the rest of this weeks adventure that lie ahead!